Most chess players have a general idea of how to play the opening. 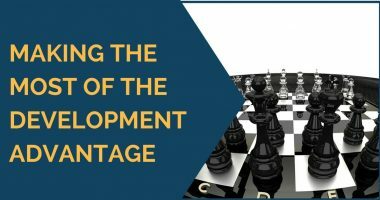 However they have problems understanding the middle-game strategies because it is not very straightforward and does not have simple “opening idea” of developing pieces, putting king to safety, etc. 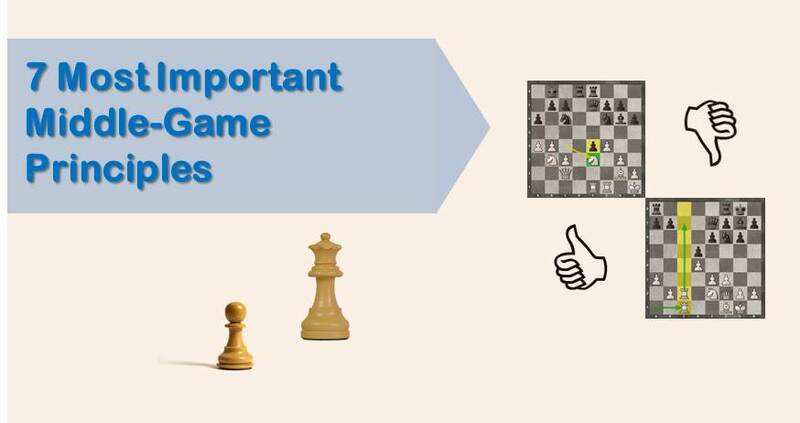 After reading this article you will learn seven most important principles of the middle-game. It is a well-known fact that in the center pieces control a lot more squares than elsewhere. This is especially important rule to remember when dealing with the knights. The knights can control as many as 8 squares when centralized, while only 2 square if cornered. It is true that bishops can be very effective from the flank. However, in the center they are more mobile and control both parts of the board. The same goes for the queen. If it is safe, bishops and queen should be centralized as well as knights. Notice how white has centralized four of his pieces. The central pawns are generally considered to be more valuable than the flank pawns. This is because central pawns allow controlling important central squares (d4-d5-e4-e5) which can be used to support pieces and develop a strong attack not only in the center but also on the king’s or queen’s side. At the same time central pawns provide space and increase pieces mobility. Therefore, it is recommended not to trade your central pawns for the opponent’s flank pawns. In fact you should do the opposite and exchange your flank pawns for the opponent’s central pawns. White should play fxe3 to create a strong pawn center with e-d-c pawns. In order to understand how to play middle-games well it is important to have a deep positional understanding. In order to improve your positional understanding, we suggest you sign up for our comprehensive training course. Over 1,000 chess players have already benefited from our training. Don’t wait, start winning chess games today. A pawn weakness is something that can give your opponent an instant edge and allow him an easy game by exploiting them. That is something that can turn an otherwise equal endgame into a loss. To avoid endgame trouble you need to take care of the pawn structure right from the opening and middle-game. Avoid doubled, backward, and isolated pawns. In the position below both white and black have serious pawn weaknesses. White has doubled and backward pawns, while black have isolated pawns. A weak square is a square that cannot be protected by a pawn. Weak squares in your position are perfect candidates for becoming strong outposts for your opponent’s pieces. The closer the weak square is to your king’s position or to the center, the bigger trouble it usually creates. Always be careful with pawn advances, since that is what creates the weak squares. Pawns can’t go back. On the diagram below white has a weak f3 square right next to his king’s position. It can be soon used by the black’s knight and queen to create mating threats. An isolated pawn is a powerful weapon and can be used by your opponent to launch a strong attack, because it supports pieces and provides extra space. 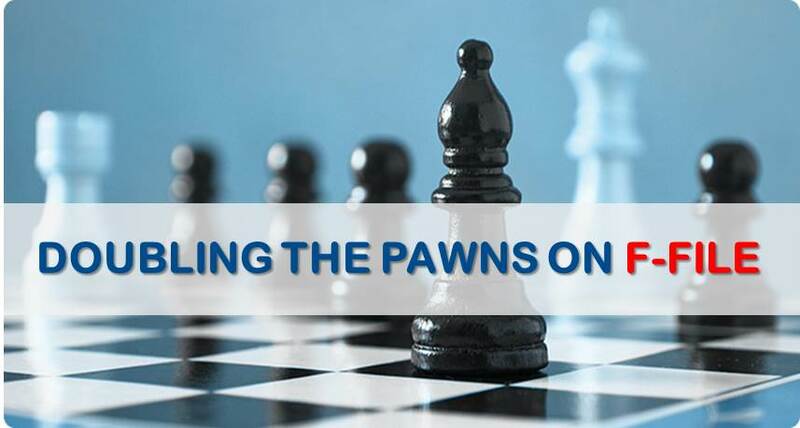 Another danger of isolated pawn is that it can be pushed forward at the right time causing many problems. That’s why it is very important to always blockade opponent’s isolated pawn to avoid complications. The best piece for this purpose is indeed the knight. It is no secret that rooks work best on open files. If there is an open file available your instinctual move should be to occupy the file with your rook. Next step should be to double your rooks on the open file. If there are no open files available, you can occupy a semi-open file that you can force open later. In the position below white has a serious positional advantage because he is controlling the open file – main element of the position. The bishop pair is very powerful in most positions. Only if the position is totally locked up the two knights may be stronger than a bishop pair. Avoid giving up one of your bishops in the opening or early middle-game just to create doubled pawns in your opponent’s pawn structure. 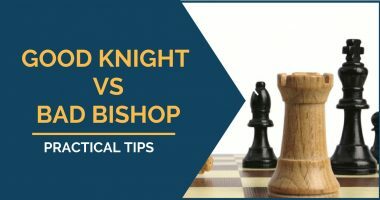 In most cases, the attacking potential of the bishop pair overweight the pawn structure defects. In the position below white has a serious positional advantage due to the possession of the bishop pair. To learn about these and many more middlegame ideas in greater detail with examples from real Grandmaster games and step-by-step explanation enroll in our comprehensive training program. Doubling the Pawns on The F-File: To Take or Not to Take? Looking forward to the knowledge and skills from this. Hello Hassan, good question. Marko gave a partial answer below. I would like to add that the blockade often happens in the center of the board, with the position not always being wide open. So, the knight is typically a superior piece to block the pawn since it works best in the center and that’s generally where you want to keep the knight anyways. In general, knight is better because it protects squares where opponent’s pawn can support passed pawn. In this case d5 and f5 squares. If we move knight on f6, f7 pawn is ready to protect passed pawn by move f5. Great article guys. I don’t understand though why an isolated pawn should be blocked with a Knight and not a bishop. Bishops work best at a distance and will be able to coordinate with the other pieces easily just sitting there whereas the knight will become somewhat passive.